Kellis Keratin Smoothing Conditioner exclusive formula for All Hair Types combines the reconstructive power of keratin with essential organic oils to get rid of frizz and leave your hair smooth, shiny and manageable… guaranteed! Highly enriched in collagen, amino acids, and sulfur it is also deeply infused with Jojoba seeds, therefore eliminating frizz, detangling knots promoting hair growth and a beautiful shiny healthy look you are going to love! In combination with Kellis Keratin Sulfate-Free Shampoo, this enriched Brazilian blend contains two different types of keratin proteins: first keratin type will grow your hair up to 1/2 inch every 35 days while the second type of keratin helps to keep the hair cuticles sealed protecting any dyes or treatments you are currently using. 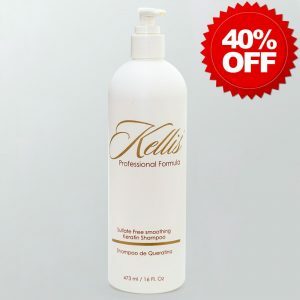 Kellis Professional Keratin Smoothing Conditioner most noteworthy attribute is a special collagen mixture that will help prevent early hair loss, psoriasis, and folliculitis. 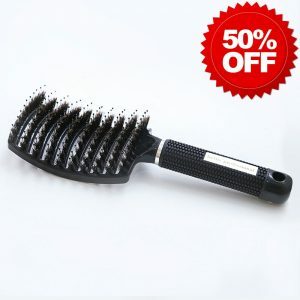 The organic substances engineered in this blend will combat dandruff and the dryness of the scalp consequently eliminating frizz for 48 hours and longer. Apply based on ‘usage’ instructions below on damp hair and AFTER using with Kellis Keratin Sulfate-Free Shampoo.